Haven't you heard? 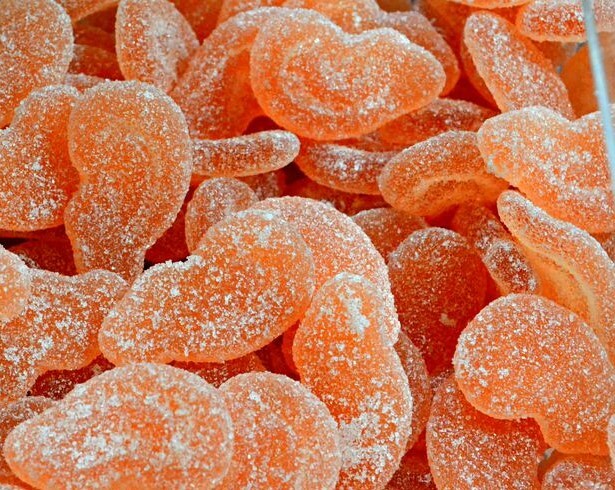 This treat gives a great orange and sour hit. Ingredients: Glucose syrup, Sugar, Gelatine; Acids: Citric acid, Malic acid; Humectant: Glycerol; Gelling agent: Pectins; Flavourings, Colours 104, 122.